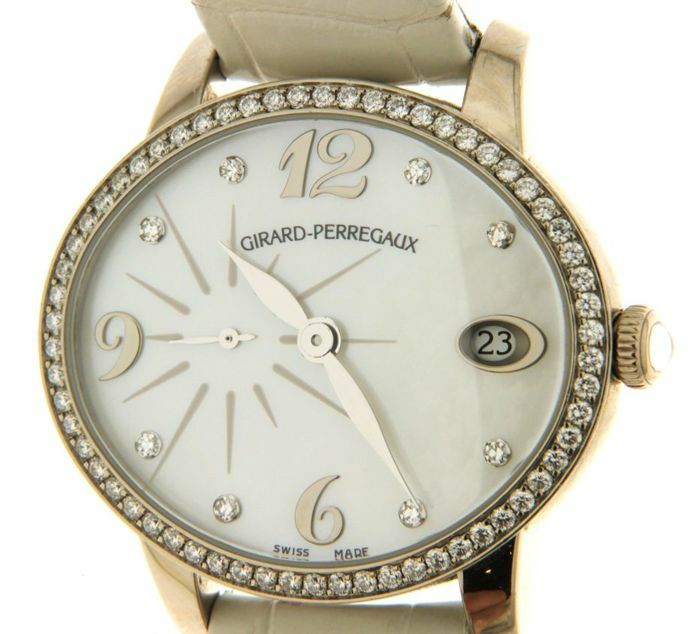 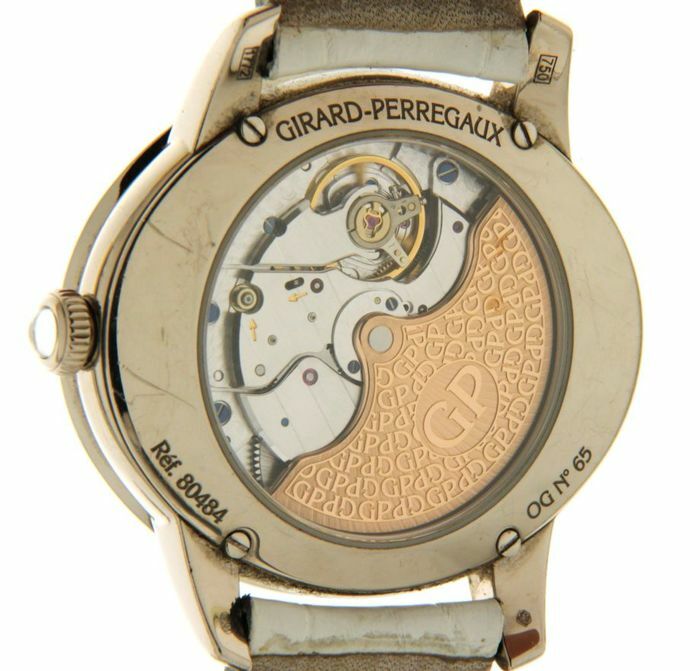 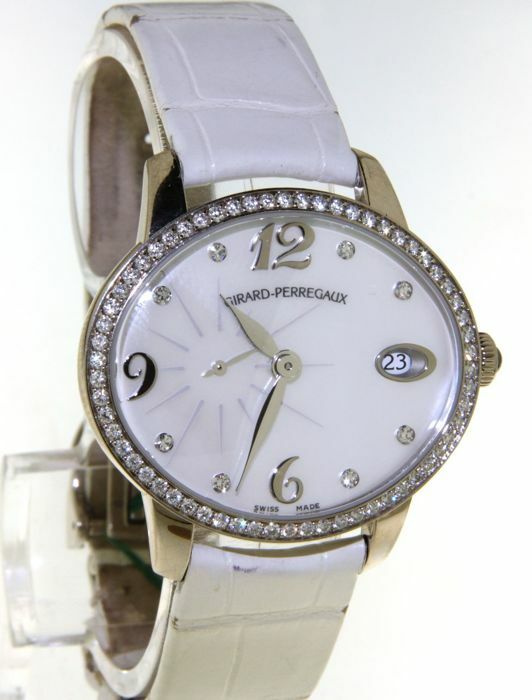 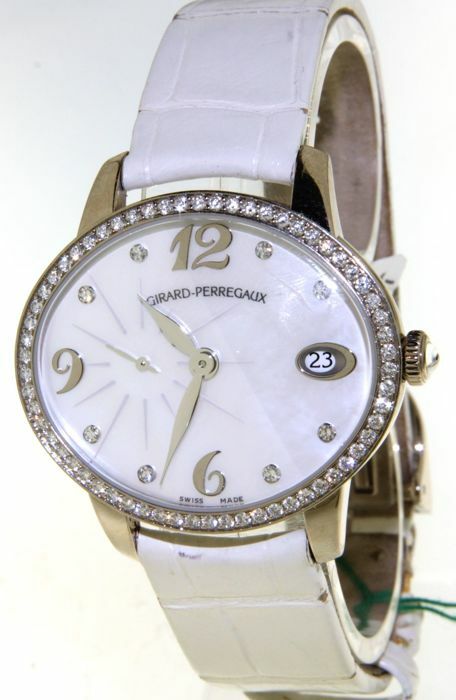 Majestic Girard Perregaux white gold and diamond wrist watch . 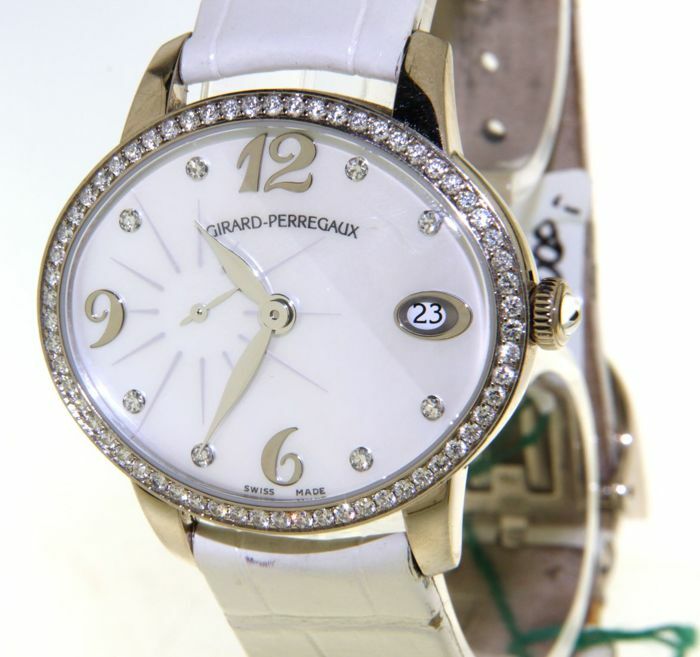 Functions: Hours , minutes , seconds , date and power reserve 24h. 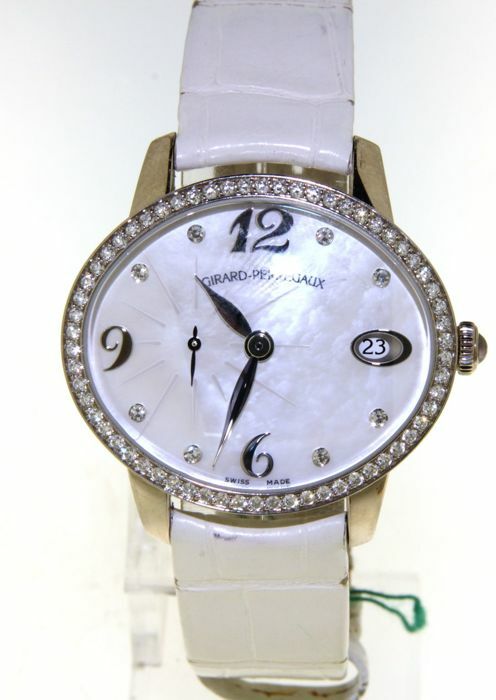 Case: 18kt White golden dial with diamonds , sapphire , diameter 30.4x 35mm , thickness 9.1mm. 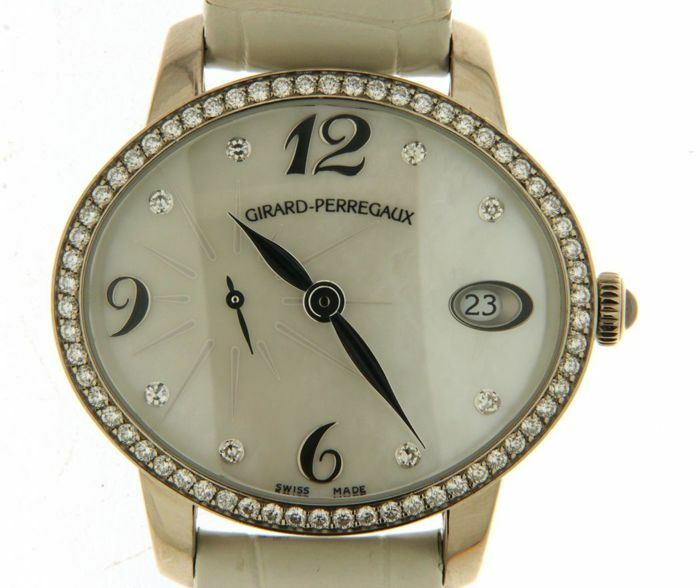 Dial: Mother of pearl , diamond indexes , arabic 12 , 6 and 9. 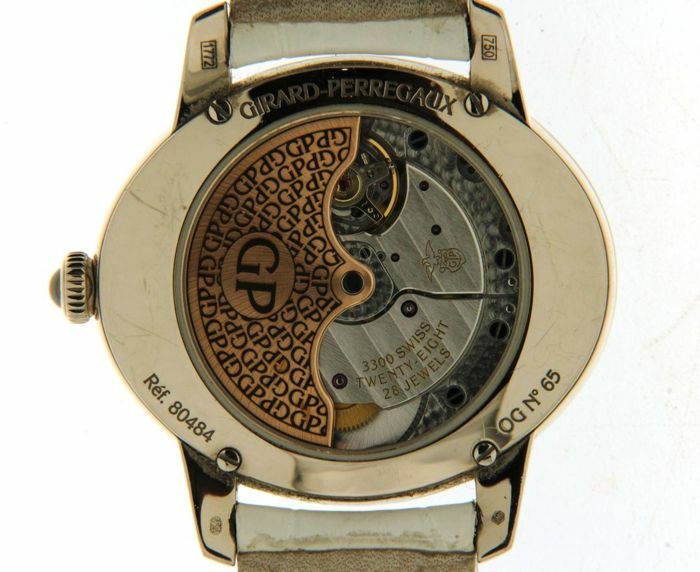 Weight : 54.4 gram total. 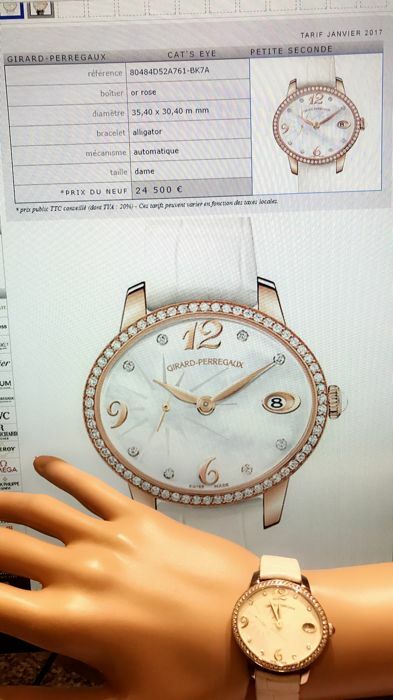 Cataloge price : 24.500€ !! !